On August 5-7 and August 14, 2015 the BASTION Project held practical workshops about the transcriptome analysis (RNA-Seq) using next-generation sequencing technology with Ion Proton (Life Technologies) conducted in the Department and the Department of Internal Medicine, Hypertension and Angiology, Medical University. The training was aimed at presenting the principles, methods and possibilities of using next-generation sequencing to study the sequence and the amount of RNA using technology Ion Proton (Life Technologies). 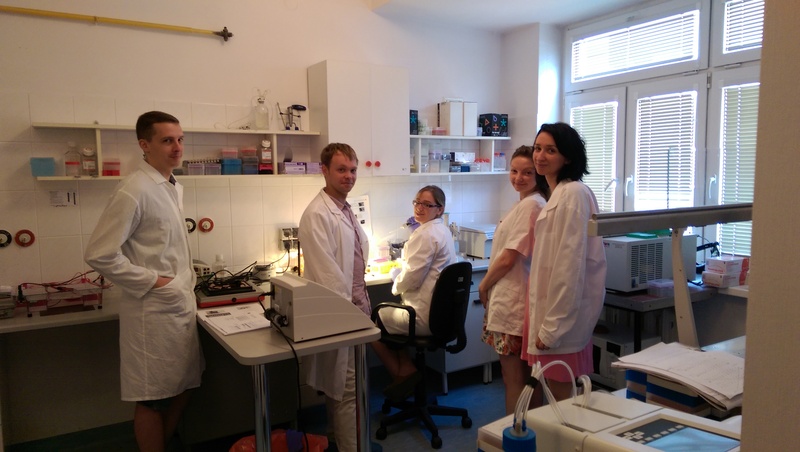 Participants took part in the preparation of libraries from RNA samples, enrichment of the resulting matrix and preparation of the chip for the sequencing reaction. They were also interactive classes conducted that provided basic information on transcriptome analysis and also the analysis of data obtained during sequencing. The workshop was organized by the team of the Laboratory of the Department of Internal Medicine, Hypertension and Angiology. The workshop was attended by the employees of Medical University of Warsaw and the Institute of Hematology and Blood Transfusion.